A panel of the nation’s foremost overthinkers consider which particular words were emphasized and why, before calling a 15-minute recess to pace back and forth. NEW YORK—Following what they deemed to be a peculiar interaction with a number of possible implications, the nation’s top overthinkers gathered for an intensive three-day symposium this week to determine what that’s supposed to mean. Thousands of overthinkers from across the country, who were seen furrowing their brows and squinting intently, convened in the auditorium at the New York Hilton in midtown Manhattan in an effort to closely scrutinize the words that had been said and ascertain what—if anything—had been the actual intention behind the exchange in question. After the kickoff event, attendees reportedly had the opportunity to sit in on several breakout sessions, each with a specific focus, including a seminar on parsing the exact phrasing of the comments and inflection of certain syllables, an in-depth recap of dozens of past interactions intended to give the latest scenario more context, and a body language workshop wherein overthinkers aimed to determine whether the speaker’s posture and arm movements might divulge the actual sentiments underlying their words. Additionally, sources said that attendees expanded their inquest by bringing in several outside acquaintances to weigh in on the interaction, before ultimately disregarding their input and continuing to follow their own lines of reasoning. Sources stated that the overthinkers returned to the main auditorium for an afternoon keynote speech titled “The Way It Was Said: Thoughts On Tone Of Voice,” before breaking for an hour, during which time the majority of attendees reportedly chose to wander listlessly around the convention floor repeating the statement in question to themselves under their breath while cups of coffee grew cold in their hands. According to reports, the group later reconvened for a session from 1:00 a.m. to 3:45 a.m. in which they restlessly dissected what had been said word by word. “And who would even joke around like that?” he added. 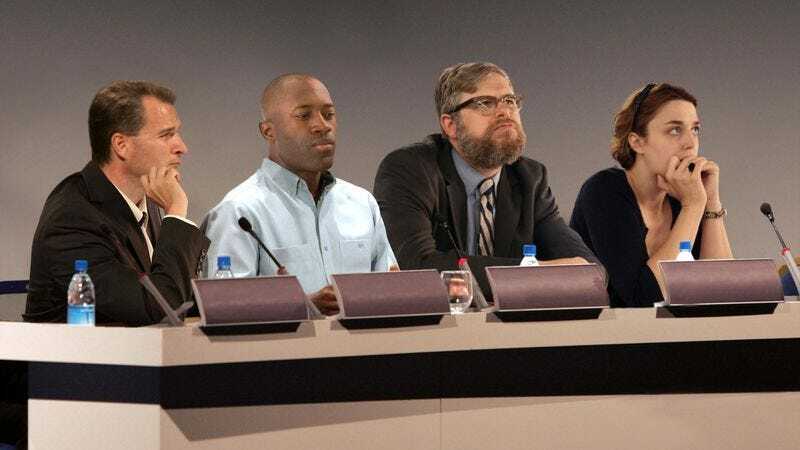 Following three days of feverish discussion, a consensus was finally reached Thursday in which participants reportedly agreed to put the whole thing out of their minds, after which attendees dispersed from the auditorium only to frantically call a follow-up symposium roughly 10 minutes later when new doubts arose.